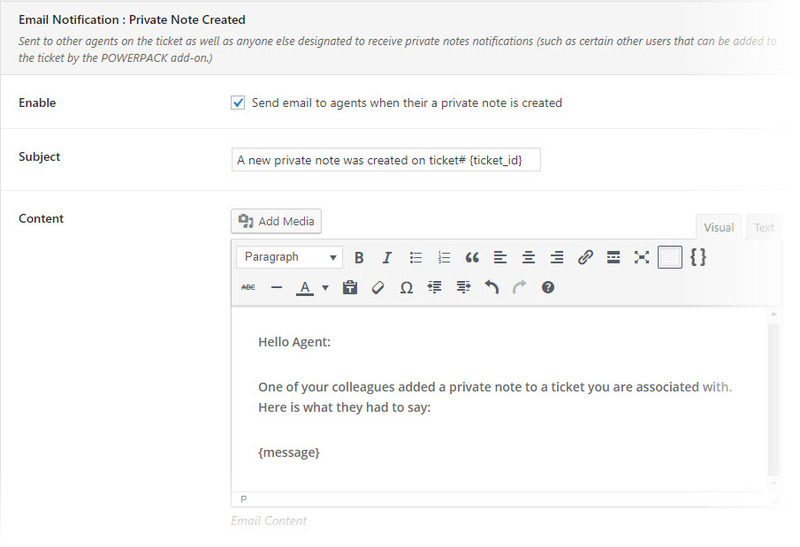 Add private notes to tickets that only your agents and admins can see. Wanna add a note to yourself? Do you need to transfer a ticket to a colleague and want to give him/her some background on the issue? 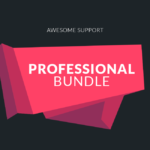 With the Private Notes addon you are able to add as many notes as you want to a ticket, and the client will never see them. Private notes can only be seen by you or a fellow support staff. 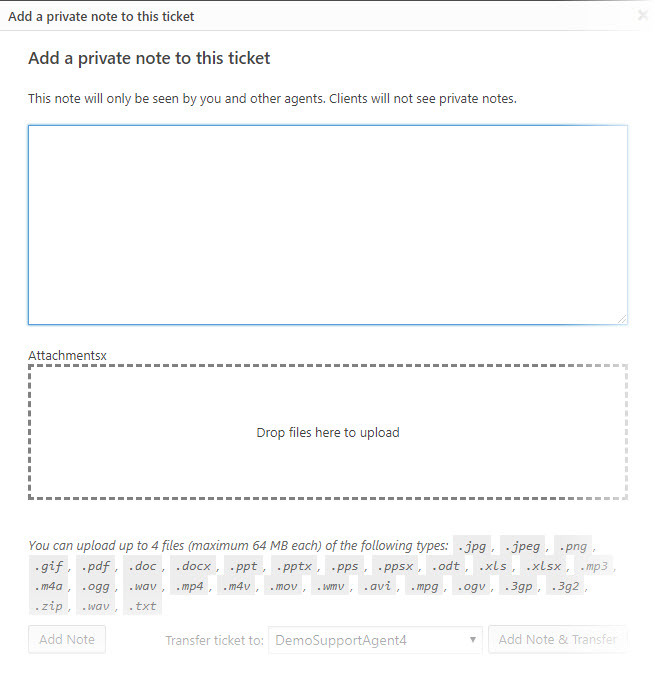 Type anything you want into a private note – text, code, quotes… The note will then be added to the ticket and will be displayed in a different color for you to see it immediately. 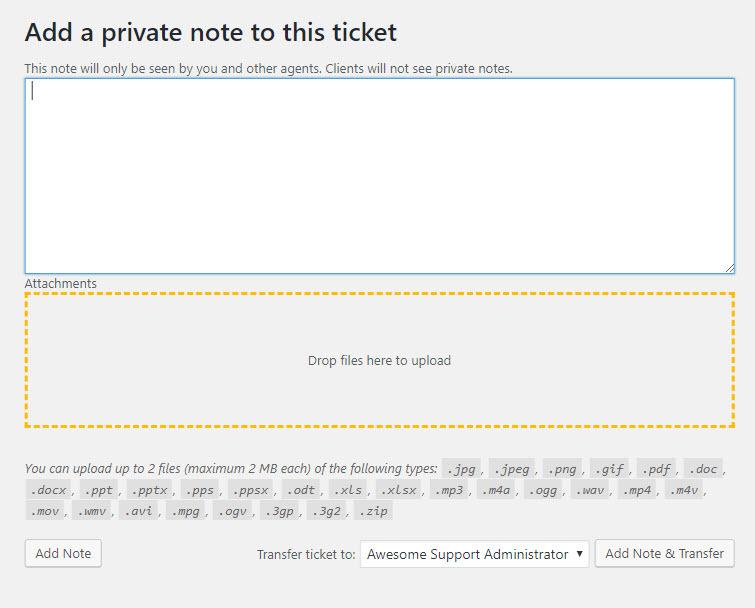 Once the add-on is installed, a new button ADD NOTE will appear in your admin bar when you are editing a ticket. Notes appear in-line with the ticket replies – exactly in the historical order in which they were created. 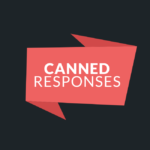 This makes it must easier to associate a note with one or more prior replies. But that’s not all. 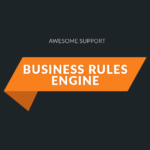 We have some features that power users are going to love! There are no additional requirements for this item. Fix: Ajax error when trying to close the lightbox and drag-and-drop attachments is turned off. New: Use a full-screen light-box for notes instead of thick-box. Tweak: Change the way an array of roles worked to account for how the User Role Editor plugin modifies it. 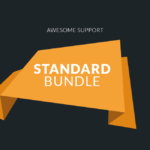 This now requires Awesome Support 5.2.0 or later. Tweak: Internal change to call notification class when a note is added.